A simple, delicious protein smoothie – with just four ingredients, it doesn’t get any easier than this! Add all ingredients to the blender, and blend to the consistency you prefer (some people like "smoother" smoothies, some like chunkier - it's up to you!). Add ice if needed - most important is that you get to your preferred texture, temperature and consistency! 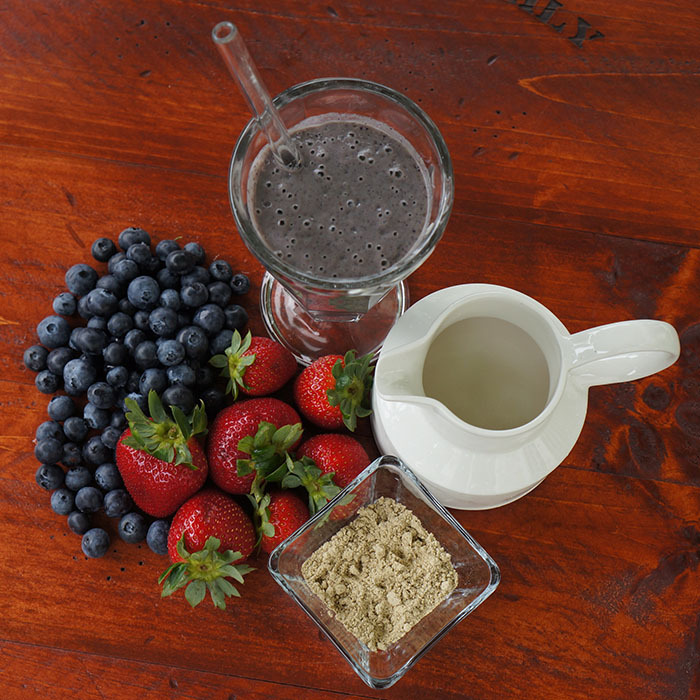 This is one of the quickest smoothies to make, and it gives you a full serving-plus of protein. I like to add the dry ingredients first (just my preference).